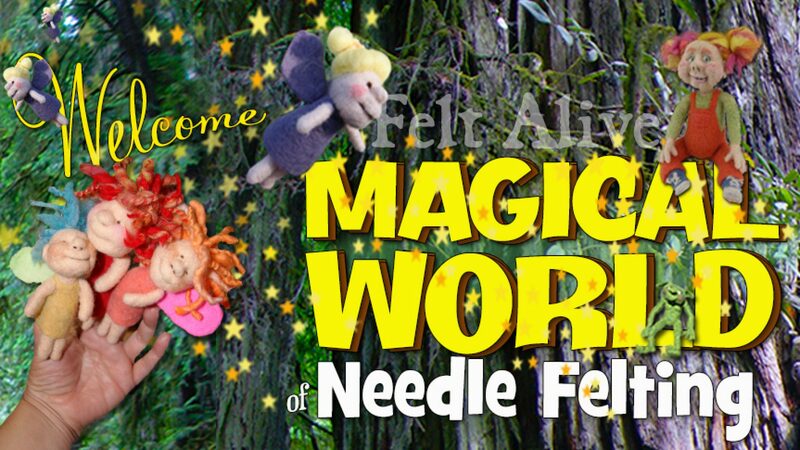 This website is operated by Felt Alive Wool Sculptures. Throughout the site, the terms “Felt Alive’ “we”, “us” and “our” refer to Felt Alive Wool Sculptures. Felt Alive offers this website, including all information, tools and services available from this site to you, the user, conditioned upon your acceptance of all terms, conditions, policies and notices stated here. You agree that your comments, feedback and submissions will not violate any right of any third-party, including copyright, trademark, privacy, personality or other personal or proprietary right. You further agree that your comments will not contain libelous or otherwise unlawful, abusive or obscene material, or contain any computer virus or other malware that could in any way affect the operation of the Service or any related website. You may not use a false e-mail address, pretend to be someone other than yourself, or otherwise mislead us or third-parties as to the origin of any comments. You are solely responsible for any comments you make and their accuracy. We take no responsibility and assume no liability for any comments posted by you or any third-party. You are at least 13 years of age. If you are under the age of 18 but at least 13 years of age, you may submit content only with the permission of, and under the supervision of, a parent or legal guardian. If you are a parent or legal guardian agreeing to these rules for the benefit of an individual between the ages of 13 and 18, please be advised that you are fully responsible for his or her submissions and any legal liability that he or she may incur. You have the permission of others who are featured in or have contributed to any content that you submit. If there are individual(s) under the age of 18 in photo(s) that you submit, you must obtain the permission of each individual’s parent or legal guardian prior to submitting the content. Permission to use content you submit. You hereby grant to Felt Alive a royalty-free, irrevocable, perpetual, worldwide, exclusive license to use, reproduce, modify, adapt, publish, translate, create derivative works from, incorporate into other works, distribute, perform, display, and otherwise exploit such content, in whole or in part in any form, media or technology now known or later developed. In no case shall Felt Alive, our directors, officers, employees, affiliates, agents, contractors, interns, suppliers, service providers or licensors be liable for any injury, loss, claim, or any direct, indirect, incidental, punitive, special, or consequential damages of any kind, including, without limitation lost profits, lost revenue, lost savings, loss of data, replacement costs, or any similar damages, whether based in contract, tort (including negligence), strict liability or otherwise, arising from your use of any of the service or any products procured using the service, or for any other claim related in any way to your use of the service or any product, including, but not limited to, any errors or omissions in any content, or any loss or damage of any kind incurred as a result of the use of the service or any content (or product) posted, transmitted, or otherwise made available via the service, even if advised of their possibility. Because some states or jurisdictions do not allow the exclusion or the limitation of liability for consequential or incidental damages, in such states or jurisdictions, our liability shall be limited to the maximum extent permitted by law. You agree to indemnify, defend and hold harmless Felt Alive and our parent, subsidiaries, affiliates, partners, officers, directors, agents, contractors, licensors, service providers, subcontractors, suppliers, interns and employees, harmless from any claim or demand, including reasonable attorneys’ fees, made by any third-party due to or arising out of your breach of these Terms of Service or the documents they incorporate by reference, or your violation of any law or the rights of a third-party. These Terms of Service and any separate agreements whereby we provide you Services shall be governed by and construed in accordance with the laws of 1347 Golf Club Dr., Cave Junction, OR, 97523, United States. Questions about the Terms of Service should be sent to us at support@feltalive.com.